SHETLAND Islands Council has secured £1 million of European funding for the proposed redevelopment of Toft Pier. The European Maritime and Fisheries Fund (EMFF) money will go towards the estimated £2.9 million cost of revamping the dilapidated pier. 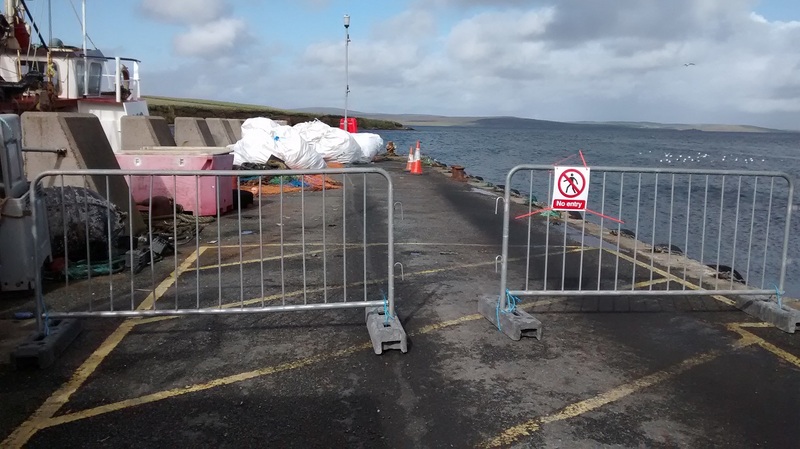 It comes after the council failed in a bid for £2.4 million of EMFF money last year for building the new Scalloway fish market as the pot had essentially run dry. A decision on the Toft funding has only come more recently because it had been deferred. The council is also working with Marine Scotland to determine whether further funding – possibly £500,000 – can be secured from the Scottish Government’s domestic fisheries and aquaculture support funding streams. A business case for rebuilding and extending the Toft pier, which is often used by shellfish boats, will be discussed by councillors on Wednesday. The redeveloped pier would provide deeper and longer berthing facilities for boats and if backed by councillors, work could start this summer ahead of completion in late 2020. The business case states that a planned net service station adjacent to the pier, which is proving controversial with local residents due to its location, is dependent on the pier being redeveloped. Demolition costs involved with the rebuild project are expected to be around £500,000. The project – which does not yet have planning consent – could face the risk of losing its EMFF funding if it is delayed. Councillors had previously voiced their support for an outline business case for rebuilding the pier as a “fit for purpose berthing facility for multi-use across aquaculture and fisheries sectors with potential addition users”. 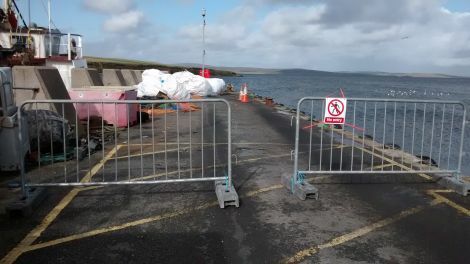 Vehicle access to the pier was closed off since 2014 before it was fully shut in 2016 as a result of its deteriorating condition, with a pontoon installed alongside the pier instead to allow berthing. Usage of the pier by certain sectors, such as salmon and mussel farming, largely stopped after it was closed off in 2014. The pier was built in the 1950s for the Yell ferry service and then rebuilt 20 years later. When a new ferry terminal at Toft was built in 2000, the ferry service stopped using the old pier.